You’re either having problems with motivation or you’re noticing that your weight is actually going up when you get in the gym, so perhaps supplements may help you reach your efforts better? With that question in mind, one of your concerns is that supplements are not safe and can lead to future health problems, but is this really the case? Well the answer is – not necessarily, it really depends on what supplements you choose to take. Sure some diet pills are actually quite intense and if you combine that with a not-so-healthy diet then you are setting yourself up for serious health complications. That is where this article comes into play. It’s sole purpose is to help you make an informed and educated decision on what you put into your body. Now before I get into these top 10 workout supplements I will give you some serious advice to consider and you really should take it to heart. Are you having a balanced and healthy diet for at least 5-6 days of the week? Or are you rushing through and just getting by and substituting processed cereals as meals? I’ve provided hundreds of really healthy and tasty breakfast, lunch and dinner recipes in the Nutrition Tips section of this website so make sure to review that and PLAN in advance! 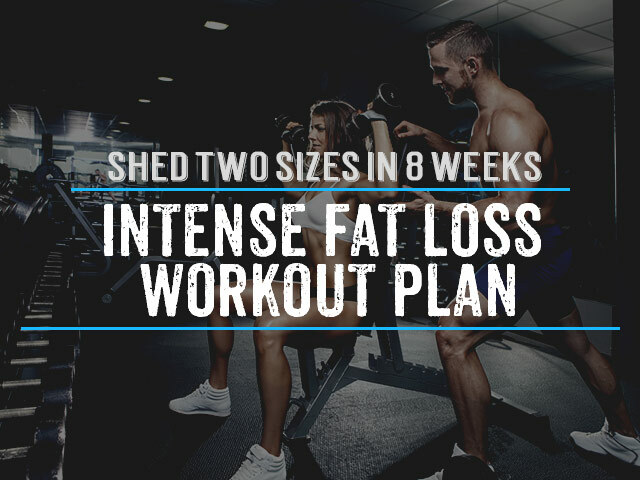 Planning in advance is your greatest weapon against fat loss. 1. Protein Powder: You might think that this is only supposed to be for the guys, but get that out of your mind. I have my mom taking protein smoothies in the morning and she is amazed at how much benefit she is getting from it. It helps her fight cravings for unhealthy foods, keeps her energized for her workouts, and also has helped her lose considerable tummy fat. The top selling protein powder in the industry which is getting a lot of attention because it is free of artificial sweetners (which almost all protein powders have) is Optimum 100% Natural Whey which I also have in my kitchen. The vanilla flavour is great for mixing with fruit at anytime of the day for a healthy snack and I even got some for my mom and sister who have seen great results in losing a few inches in their midsection. If you’re especially sensitive to lactose it is also completely lactose free and great for those of you who are on low carb/low fat diets. Here is the link – Optimum 100% Natural Whey. For those of you who want a protein powder that is vegetarian (or vegan) then I would highly recommend a new leader in the natural health space: Gardenia All Natural Vegan Protein which includes protein from peas and quinoa, just awesome! 3. Creatine: Creatine is a natural supplement that is hands down one of the most effective in creating strong muscle. There has been more research on this one supplement probably more than any other I have seen and even Olympic level athletes are taking it. It’s naturally found in meat, but having enough to help us in our workouts is pretty challenging unless you are eating tons of meat, so the supplement really makes sense. The way creatine works is pretty simple, it just helps our bodies store and use more energy especially in intense situations, in other words helps you get in one or two last repetitions. 4. Pre-workout energy drink – If motivation is even slightly a problem for you then a pre-workout energy drink is a pretty great solution to giving you the boost you need. But most of these are again designed for men looking to pack on lots of muscle, so what about women? 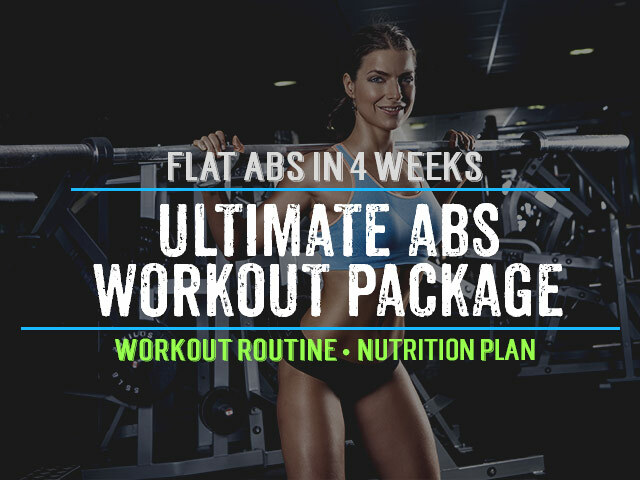 Well the good news is that there is a relatively new kid on the block that is a favorite for women including green tea extract and essential amino acids to help build lean muscle – Essential Amino Energy. 5. Omega 3’s – You’ve probably heard of these a lot lately, Omega 3 is an essential fatty acid (EFA) that we need to include in our diet because our bodies can not create them by itself. Recent research has proven that Omega 3’s are great for cardiovascular health and cognitive function but also help your body in rebuilding cells as well as joint flexibility (which also helps muscles grow faster). It’s pretty much a no brainer to include Omega 3 supplementation, and if you wanted one that was specific for women, you got it! Garden Of Life Oceans 3 Healthy Hormones includes high quality Omega 3 as well as blend which is great for healthy skin and hormone production. Here is the link – Garden of Life Oceans 3 Healthy Hormones. 6. Thermogenic Fat Burner – This isn’t an essential one but many of you women are looking for metabolism boosting thermogenic fat burners which have the least side effects. Word of caution, these can still be pretty intensive so make sure you have a great diet and lots of water if you want to try this. The leader in the industry for this is Cellucor Super HD as it is proven to help with curbing cravings and is highly effective. On the other hand if you are looking for a thermogenic fat burner which doesn’t have stimulants then one of the latest and hottest in the market which is getting a ton of positive feedback from women is: CLA 1000. It attacks your fat cells from many different angles and the blend for women is pretty impressive. Here is the link – CLA 1000. 7. BCAA’s – BCAA’s also known as branch chained amino acids include 3 of the 8 essential amino acids our body need to make muscle: leucine, isoleucine and valine. Whenever we workout our body breaks down some of our muscle to create these amino acids for fuel, so supplying BCAA’s can help spare our muscles from being broken down. Because of this they are very popular supplementation for strength training individuals and are even given to patients recovering from cancer because of their positive effects. Remember more muscle doesn’t necessarily mean greater bulk and muscle helps your body burn more calories. One of the leaders in the industry for BCAA which is also popular for women is Optimum BCAA. Here is the link – Optimum BCAA Caps. 8. Natural Sleep Supplement – You should know by now from reading many of the articles on this site how important sleep is to your muscle muscle building efforts. This is the time when our muscles repair, recover and grow and if you’re not getting a rich deep sleep you are robbing yourself of the best results possible. A great natural sleep aid which is getting a lot of attention for increasing quality of sleep is Irwin Naturals Power to Sleep PM. It’s a highly effective non-habit forming and quick acting spray which is 100% natural. Here is the link – Irwin Naturals Power to Sleep PM. 9. Antioxidants – There are many berries like Acai and Gojiberry that are all the rage right now because of their high antioxidant content. Antioxidants are important especially for women because they help reduce the harmful effects of stress by helping your bodies eliminate toxins and keep you looking young. NOW Nutrition creates a very affordable Acai supplement which is full of antioxidants, vitamin C, and polyphenols. and Here is the link – NOW Acai. 10. Joint Support – Along side Omega 3’s, Glucosamine is a supplement which used to support flexibility and mobility of our joints. Research has already shown that the more flexible we are the greater range of motion our joints and muscles have which means better results when strength training. Furthermore, if you have knee, shoulder or back pain you may want to experiment supplementing with this natural product (generally found in shells of shellfish and animal bone marrow). A pretty cool joint support supplement which includes Glucoasmine and Chondroitin (which is also great for joint support) is NOW Glucosamine & Chondroitin MSM. Here is the link – NOW Glucosamine Chondroitin MSM. It has taken me quite a bit of time to do the research to create this list of top 10 workout supplements for women but I sincerely hope that you found it very informative. Ultimately, no one knows your body like you do so try different supplements and see how they work for you. You generally need to give them at least a couple weeks to know the true results so be patient and remember you need to have a healthy diet, exercise plan (check out my Fitness Plan for Women) and regular sleep to really get the most maximum results. I hope you save this page as a bookmark and share it with your friends on Facebook and Twitter so we can get feedback on the results of these supplements. I’ve been using jac3ed for some time and recently found out that they are no longer making it. I’m being forced to find something new (I don’t like change). Why do you recommend Essential Amino Energy and how does it compare to jac3ed? Is there anything pre workout that you would recommend that does not contain beta-alanine? Hi Amy, great question. Essential amino energy has a lot of reviews by women because it is a bit more gentle, however, as far as I see you can still get Jack3d here. As a note my all-time favorite is SuperPump Max the grape flavour is great and it does not have any beta-alanine in it. Look forward to hearing your thoughts. Whey 100% natural protein powder, Optimun womans multi vitamin. Kre-A-Fem. as well as the Ocean 3’s Omega fats and the BCAA Caps. Absolutely safe all together, Omega’s and Vitamins should be part of everyone’s routine and the protein, creatine and BCAA’s are all naturally occurring products which are in the foods we eat every day. Hi Sam! Thanks for the great article! It’s been very informative. I’m just getting back into lifting after having 2 kids . I have 5-10 lbs to lose and a lot of toning to do. I do whey protein and am wondering what else to add to jump start my progress? can you please write on making dieting easier and how to avoid binge eating etc. We need to see more of how to diet with ease strategies if possible etc. that would help a bunch a people I think. I loved your article very informative. I just had a few questions. I’m really trying to lose weight off my midsection cause thats where it seems I hold the most fat the only thing is when I do lose weight I tend to lose muscle from all around and end up too skinny so I wanted something that gone tone my body and helps me lose from the midsection but help me build muscle . Any recommendations on supps I can take to help and also some that don’t make you jittery cause i have anxiety so it makes worse? Hey Anabelle, thanks for your positive feedback, definitely appreciated and I hope you share it with your friends and family. To your question, my best recommendation would be to use my number one suggestion which is protein powder. Being on the low calorie side it helps you feel full and also feeds your muscles with the amino acids they need. I find it helps women most when they use it as a snack in between meals, as much as twice a day. Include this a preworkout drink if you can and you should have a pretty good metabolism boost and of course eating good clean foods with as little added sugar in their ingredient lists and you should be well on your way. Let me know if you have any other questions on this! Hi Zoey, this is a great question and definitely has a lot of merit. Here is how I look at it: When you are training hard and also watching your calories it’s quite to make sure your body gets all the nutrients, vitamins, minerals and protein it needs, particularly as you train harder and harder. 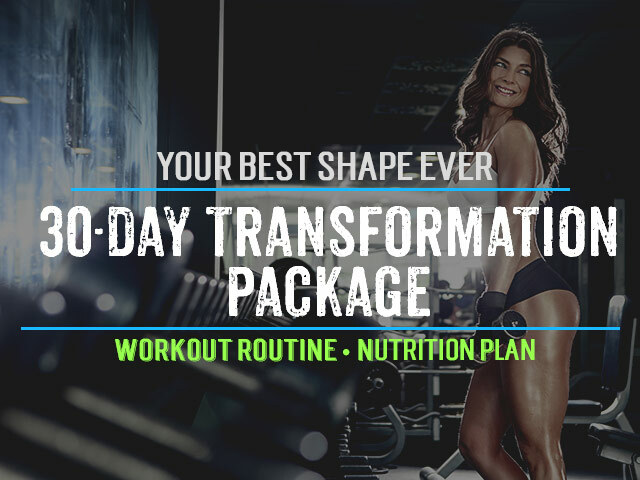 The supplements listed on this website are only those which I would trust enough to give my own mom, I try and stick not only to the most reputable brands but also those which I know from experience has helped those around me. With all that said, you need to trust your body and how it treats the supplement and of course speaking with your doctor especially if you are dealing with any medical problems. At the end of the day, clean eating is the key but having supplements in your arsenal to make sure you get the nutrients you need and a little boost to help you overcome plateaus is undeniable. Can I take Muscle Pharm Assault along with Cellucor ? Hi Lola, you can and I would just caution that you try and take them earlier in the day or morning particularly so it doesn’t disrupt your sleep. I am sure you have already answered this question but I was curious about if there is a specific time of the day that you should take each supplement? Thanks for your amazing advice, you have me determined to get down to a healthier me! Hi Chasity, thanks for awesome feedback, it’s people like you that motivate me for this blog so you’re helping me with your feedback too! In terms of timing, I recommend morning the most with breakfast as that is the time your body is ready to absorb as much as possible since your stomach was empty during the night. With that said, things like the pre-workout drink are designed specifically to have before your workout and hopefully you’re getting that in the morning too since there is some caffeine in them. Outside of that I’d follow the instructions on the labels, but let me know if you have any more questions, I’m happy to answer. Excellent! I figured morning would be best, just thought I would ask 🙂 If I come up with anymore questions, I will be sure to come here. I placed my order yesterday so I am more than anxious and ready to get started on healthier version of me. Thanks again Sam! Nice, look forward to hearing your feedback! Do you think it’s wise to drink high energy drinks as I’m trying to lose weight? I’ m still high on carbs as I’m on “loaded gun diet” which allows me to eat sweets in the morning. Hi Steph, that’s a great question as most pre-workout energy drinks like Essential Amino Energy only have 5 calories and 1 gram of sugar. They are providing the energy through stimulants such as green tea and hence why they are so effective in giving you a boost before your workout. Wondered if I can take Jac3ed and Creatine Ethyl Ester both? You can take both together since the Creatine Ester is very specific in function and can help you with extra energy to push further. How would you change this list, now four years later. Great question Sara, and because it is one of the most read articles on the website I actually just updated it a couple months ago! let me know if you have any questions on any of the products. Not sure about Jay’s products, doesn’t seem to have much reputation in the industry but I would switch up your training to include much higher intensity as the diet side of things sounds pretty good. You may also want to try other sups as indicated in my list as these definitely have a quite a large number of positive reviews. You bet lots of women have said they like Amino Energy – http://weightlossandtraining.com/supps/aminoenergy and if you check out my article http://weightlossandtraining.com/workout-supplements-for-women-top10 you’ll get some great advice on other supplements to consider. Of course there are a lot of variables when it comes to blood pressure and also how people react to different weight loss supplements. I would recommend making sure you include the vitamins, Omega’s and a good source of protein as these will only help with hormonal imbalances when including a high quality meal plan. Creatine is good for adding muscle mass, but for tone and fat loss you will want to try green tea, CLA, and most likely a pre-workout drink to rev up your workouts. Are all of these supplements meant to be taken at the same time? Some go as far as doing that, and some experiment with those outside the essentials (vitamins, Omega’s, protein powder and antioxidants) looking to see how their body responds to them individually. Starting with a few and experimenting is a great idea to see how your body responds. Multi’s, protein and a pre-workout drink would be a good starting point. This is a great article. That said, I would love to see you update the article to include the recommended daily allowance for each. Knowing what to take is great, but I would like to know how much and how many times a day to take each of these you listed. Hi Jennifer, thanks for the feedback, I do appreciate it. With respect to the protein powder I would recommend taking it 2 times per day and for everything else to follow the directions. Thanks for making nutrition more easy & interesting to understand. Can women take jack3d? or will that lead to packing on muscle? it sounds really fantastic as far as motivational pre-workout supplements go but I am not wanting to retain a lot of water weight, etc. Thank you! Definitely works for women as well, you can watch sodium intake to reduce bloating. If I take the whey protein for after I work out, do the pre-workout energy drink before, take the multi vitamin, sleep supplemets, joint and fat burner… are those all safe to take together? Yes that’s a pretty common combo of supps. You may find that you want to space out the fat burner so you have on and off days. What about a woman who has thyroid disease? Would these be safe even though the thyroid? These don’t interfere with the thryoid but if you have any concerns with some of the thermogenics you can check with your doctor on the ingredients. Hello! I am really new to this site. I am 16, and I was wondering if those supplements are safe enough for me to use? Also, can I take all of them at the same time? Thank you. Thanks for the information. Is a safe to take both Creatine and the Thermogenic Fat Burner at the same time, or is doubling up on the same thing? I trying to lose a little weight (around 4 kgs) and to tone my body. My energy levels and motivation to stay at the gym is quite low! Hi Danielle, should definitely be safe on that part, although I like taking creatine when I want to add muscle and then thermogenic fat burners for when you want to cut and more definition. With that said, sometimes the two together keep balance too. Thermogenic fat burners are great to get you psyched to get into the gym too! I am really grateful to you,have for the plans that u have given… will adhere to same.. This is an amazing community work keep it up! Thanks Sameena, very nice of you to say. Hope you share the website with your friends and family to help me continue to grow this great community!